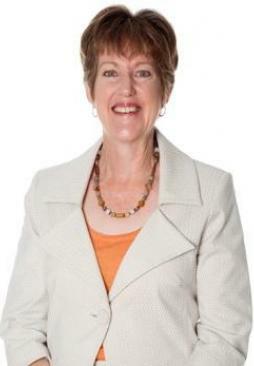 Christine Milne was born in Latrobe, northern Tasmania in 1953. She and her sister grew up on the family dairy farm in the highly productive agricultural district of Wesley Vale. Christine’s mother returned to teaching when she was 5 years old and when she was 10, she was sent to boarding school at St Mary’s College in Hobart. While her time under the guidance of the nuns imbued in Christine a strong work ethic, a belief that one should have the courage of one’s own convictions and a very strong sense of social justice, it also instilled a stoic capacity for incredible self-contained resilience. Christine describes this capacity to cope with harsh circumstances without revealing her true feelings as having “served me well as a pioneer in politics”. Pressure to gain scholarships to progress to further education saw Christine sign on for a paid 4-year teacher studentship, which was a barrier to staying on to higher studies at University. She graduated with a Bachelor of Arts with Honours in History but would have loved to have progressed to a Masters, had the studentship rules not prevented it. Christine married at 22 and has two boys, now aged 25 and 27. She taught at Parklands and Devonport High Schools and the Don College from 1976 to 1984 except for periods of travel overseas. She spent a year in a campervan in Europe in 1978, six months in Asia in 1982 and describes her travels as a social and environmental awakening. Things that she assumed would be there and were taken for granted, were suffering environmental degradation. Back in the classroom after her Asian travels, Christine experienced stark intolerance of newly arrived Vietnamese boat-people, developed a multicultural education programme and was subsequently awarded a Japanese Foundation scholarship. Although she did have some contact with the campaign to save Lake Pedder in the early 1970s, Christine’s first real involvement with the environment movement came with the national campaign to save the Franklin River from damming by Tasmania’s Hydro-Electric Commission. The time spent in Risdon Women’s prison as a result of her participation in the February 1983 blockade of the river was important, not only in reinforcing her belief that “provided you are of the view that what you have done is right, then it is an empowering experience”. Her time in prison also changed Christine’s views about jail and its impacts on women born into a cycle of injustice. She describes herself as “more compassionate and understanding” and “a better person” because of that experience. The announcement that North Broken Hill proposed to build, a large-scale native forest and chlorine based pulp mill at Wesley Vale was the real beginning to Christine’s environmental leadership. Determined that the mill should not be allowed to destroy prime agricultural land or to pollute the waters of Bass Strait, Christine very soon became the spokesperson for the local farming community. Although none of the locals had any real experience in campaigning, the CROPS committee (Concerned Residents Opposing Pulpmill Siting) elected to represent the farming community contacted Tasmanian independent MPs Dr Bob Brown and Dr Gerry Bates, national environment groups, scientists and others who might lend support. Christine found her teaching experience very useful running a 24-hour a day, seven day a week campaign. One of the challenges of the Wesley Vale campaign was in dealing with the media with their focus on hostility and conflict. In March 1989 the pulp mill proponents withdrew and then Tasmanian Premier Robin Gray called an election focused on the mill. Christine ran as the candidate in the seat of Lyons for The Independents, a team of five like-minded environmentalists including Bob Brown and Gerry Bates. She comments that “Having led the campaign against the pulp mill, I had no option but to run.”. Christine describes the early 1990s as “hostile and difficult” – a time when she experienced abuse wherever she went. Parents and friends lent support and cared for her children while she was campaigning. When she was elected to the Tasmanian Parliament, her husband took leave from his job to be with the children, which he did for several years while working part-time. While she had no formal mentors, Christine draws her inspiration from Burmese leader Aung San Suu Kyi, who has made so many personal sacrifices and South African apartheid leader Nelson Mandela, whose lack of bitterness towards others she greatly admires. The writings of civil rights leader Martin Luther King and 19th Century naturalist and philosopher Henry David Thoreau remain core references for her. Having worked with him in politics since 1989, Christine describes Bob Brown as a friend and inspiring colleague, and says she admires greatly his vision for a better world, unswerving optimism , dedication to the protection of nature and ability to withstand personal abuse. Between 1998 when Christine lost her seat in the Tasmanian Parliament and 2004 when she was elected to the Australian Senate, she found it difficult to get work in Tasmania – a problem she attributes to her political opponents at the time. She was, however, Australia’s representative to the global Council of IUCN (the world conservation union) from 2000, and in 2004 became its Vice-President. A decision to contest a Senate seat at the 2004 Federal election saw Christine elected to the position she has held since 1 July 2005. 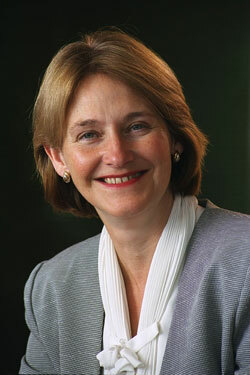 She became the Australian Greens Deputy Leader in 2007 and succeeded Bob Brown as Leader in 2012. She describes her motivation for taking on this new challenge as wanting to drive some strong environmental outcomes, in the face of accelerating climate change. She finds it very satisfying that after driving that agenda for the past 6 years, the Greens balance of power in the Federal Parliament enabled the setting up of a Multi Party Climate Committee, which delivered a comprehensive clean energy package for the nation. It is a role in which Christine has been able to make changes happen in ways that are consistent with her own conscience. Asked about the biggest difficulties in providing leadership, Christine highlighted the huge level of responsibility and the way it takes over your life. Asked about any differences between men and women in leadership positions in the environment movement, Christine indicated that she doesn’t see it as a gender based thing. Rather, it is about ways of working, good communication skills, and an ability to engage an audience, inspire, network and work with people. Christine sees a lot of women who choose not to stand up as a leader – people who are not prepared to put themselves up for the levels of exposure involved and the media intrusion. For her, this is not a job, it’s a vocation. She sees doing this as easier than not doing it. She feels a sense of obligation to achieve at the highest level, so “not doing it would be a selfish choice”. Christine sees the real leadership in the current environment movement as being among the young women who run community-based local campaigns, such as Climate Action Groups or the Huon Valley Environment Centre and Still Wild-Still Threatened groups campaigning for Tasmania’s forests. It may be that this fits well with their sense of local identity, and their stage of life spending time at home with their children and that hopefully, they will move on to the national stage later. While the mainstream environment movement is supposed to work more in consensus mode, Christine observes that unless the rules are established at the start, then a few voices still dominate and those voices are frequently male. Asked about mentoring, Christine stressed the advice she gives is about the importance of building relationships of trust and respect. Leadership positions need to be part of a culture of respect, trust and honesty, rather than being focused on ‘the numbers’ and political ideology. Mary Draper was the oldest in a family of 9 children. She born in 1945 in Sydney but grew up in Brisbane. She describes her mother as a committed, serious, intelligent and intellectual Catholic. Her father was a teacher in the state school system and was also a Catholic, although Mary does not believe that he was as committed as her mother. Education was in the Catholic school system. Unlike most of her fellow primary school students, Mary finished year 12. She was a good student and got good results at school. She was also selected as possessing leadership qualities early in her life. While at school Mary became the leader of the school’s Young Christian Students (YCS), and then became the leader of the Brisbane Young Christian Students. Early in her life Mary enjoyed the challenge of new ideas, and her ability to think deeply about issues. She remembers being very excited by the ideas for renewal of the church arising from Vatican 2, reading widely and discussing the ideas with her mother who was equally interested. Her parents’ attitude was to give the children lots of freedom. They lived by the sea, and the children spent lots of time wandering the neighbourhood, the cliffs and beaches and making up cricket teams. Both parents were very committed to education and there was an expectation that the children would go on to university. However, the Catholic school that Mary attended saw university as a ‘sort of necessary evil’. They gave students several pieces of advice – ‘If you have to go to university, don’t join the Newman Society (the Catholic university society)’; ‘if you have to go to the university, don’t go to the Newman Society orientation camp’; and ‘ if you have to go to university, don’t have anything to do with Humphrey McQueen because he will lead you astray’. While at school Mary had wanted to enter the convent and become a nun – an ambition she says was ‘my romantic missionary sense’. However, as she was completing her school education, one of her brothers died and her parents did not want her to go into the convent because that would have been too much loss. She agreed to wait for a year, and enrolled in university. During her first year at university, Mary started to have doubts about becoming a nun but her parents were keen for her to stick by her original decision and enter the convent. After a few months as a novice Mary decided that this was not for her. However, the convent would not accept that she wanted to leave. She believes that her leadership of the Young Christian Students made her ‘a catch’ for the convent, and explains their reluctance to accept that the convent life was not for her. After a period of internal struggle and unhappiness, Mary asked to see a priest from outside, who was a chaplain at the university, and he helped her to leave. Mary’s mother had died during this period, and by the time Mary left the convent she was quite distressed. Within months Mary stopped going to church and moved away from the Catholic faith. She had been an avid follower of Vatican 2 – it was an exciting time for the church. She says that ‘it was interesting intellectually – a sense of a process of renewal, making contemporary, making relevant.’ Within the convent, she used to keep Vatican 2 material hidden under her mattress. She says that ‘the convent did teach me one thing – it taught me about rebellion’. While Mary is no longer a Christian, she believes that her Catholic upbringing left an important legacy. It influenced her in two ways. ‘In some respects, while one has given away faith and the church, there are values that are part of who you are, and a sense of commitment. Those values are about the communal community rather than just yourself…. And a sense of “do unto others as you would have done unto you” ’. On her return to university, Mary enrolled in an Arts/Social Work course. She graduated in social work and taught in social work departments of universities. But by then she knew that her interest lay in policy rather than case work. After working for a year in an acute psychiatric unit, and then as a Senior Tutor at university for a few years she went to Tasmania and worked in the policy section of the government’s welfare department. She then got a job in the Tasmanian Public Service Board as an Equal Opportunity Inspector. Mary had become involved in the women’s movement in Brisbane. It was 1965 and the time that Merle Thornton and Rosalie Bognor chained themselves to the bar of the Regatta Hotel in protest at not being served because it was against the law for them to be in a public bar. Mary was active in a women’s group that set up a women’s centre and she attended the national conferences on Women and Politics and Women and Health. In Hobart, Mary continued to be involved the women’s movement and helped set up a women’s centre. In 1983, the new Victorian Labor Government advertised for a Women’s Adviser to the Government. Mary applied for and was given the job. Melbourne was a city in which Mary always had been intent on living in, so she was glad to move there to take up her new job. By now she had a daughter Clara, who was 6 years old. Her new job as Director of the Women’s Policy Coordination Unit was in the Premier’s Department. She says describes the position as being a ‘leadership role and an advocacy role’ and its job was ‘to get up a policy agenda across the Government – and that was the priority’. Because ‘there were a diverse group of women and diverse politics’ Mary had to make sure that she wasn’t politically aligned within the Party and had to manage a lot of interests as well as try to pursue a women’s agenda. It was a new position and the job was ‘exciting and very, very hard’. It was engaging, and very stressful… it was tough… there were lots of expectations on you, lots of politics going on around you, and it had an impact on your career because the wins that you got weren’t always appreciated by those around you’. Mary was a single parent, and the stresses and strains of her job were having an impact on her daughter. Mary vividly remembers Clara saying to her ‘I know your job is really important and that it makes a big difference for women, but I really wish you weren’t doing it’. Mary left the position after 4 years. Clara visibly thrived when Mary had more time and energy to give to her. In spite of vowing never to work at a university again, Mary spent the next 10 years working in an academic environment. However, while working at RMIT she won a contract to do some work for the Health Issues Centre, a Victorian independent not for profit organisation that promoted consumer perspectives in health care. Her job was to spend a year investigating the impact on consumers of casemix funding for hospitals. Mary had been interested in health financing issues, and for some time wanted a chance to work on health issues. So this job was for her. This was an important piece of work for the whole health consumer movement, and it led to Mary’s involvement with the Consumers’ Health Forum and the broad health consumer movement. She became an effective champion for improving the quality of health care. She presented papers at the annual National Casemix Conferences and was appointed to represent consumers on a national committee looking at quality of care issues. The work of that committee led to the establishment of the Australian Council for Safety and Quality in Health Care, which later became the Commission and is now established as a permanent body. Mary has also represented consumers on a number of other committees. The one she is most proud of was a National Health and Medical Research Council Working Party on Clinical Practice Guidelines for Diagnosed Breast Cancer. She and another consumer representative were able to significantly influence the content of the guidelines so that the concept of quality of care included important issues for women such as the availability of information to enable their decision making and support for their lives. Mary’s work on casemix was followed by consultancies for the Australian Government’s Consumer Focus Collaboration examining issues relating to patient satisfaction and involving consumers in improving quality of hospital care. Then, in 1998 the Victorian Government established an Effectiveness Unit within the Quality and Care Continuity Branch. Mary became the Manager of the new Unit – a position she held for 4 years. During that time she was responsible for policy and program development in evidence based health care, maternity services, consumer participation and information, clinical risk management and infection control. She also led the implementation of Community Advisory Committees for health services and the publication of Quality of Care reports by each health service. It was a big agenda, but Mary says that she had a great team working with her. It built on her experience in the women’s and health consumer movements, as well as her term as Women’s Adviser in the Premier’s Department. After 4 years, she took up a position with the Royal Women’s Hospital – as Director of Clinical Governance – a job she held for 7 years. While there she aimed to generate a more open and just culture that learned and improved when anything went wrong. She used the hospital’s Quality of Care report as a way of bringing greater transparency and improving measurement of treatment and outcomes. She insisted that achievements could only be described in the Report if sound evidence was provided. After 7 years, Mary was approaching what is regarded as ‘retirement age’. While she had been successful in her role, she had concluded that quality and safety improvements within hospitals need to be led by clinicians, and that career paths in that area needed to be created. She resigned from the hospital, and set up her own consultancy business. In 2010 Mary took up the position of Chair of the Health Issues Centre, the organisation where her health consumer advocacy started. The organisation undertakes policy analysis and advice and advocates from a consumer and equity perspective. It is the first organisation in Australia to provide leadership training for health consumers. However, it faces considerable challenges in terms of its funding and future role. Mary’s life has equipped her for health consumer leadership. Not only was she the oldest of 9 children, but, while still at school took on significant leadership responsibilities within the Young Christian Students in Brisbane. Her career involved significant leadership positions, and she is now the head of a significant consumer organisation, the only one that offers leadership training for health consumers. However, she has never had any formal leadership training. She says that while other people had recognised her as a leader at a young age, she felt she was pushed into it without any support. She has had to learn through her ‘lived experience’ and says that if she were to redo her career she would make time for more education and skills development. Mary also emphasises the importance of listening ‘sometimes it’s hearing the story from the inside, and sometimes it’s listening to other people’s analyses. She likes listening to clinicians, ‘trying to work out their language and what motivates them, and how to get them onside.’ She also enjoys ‘finding connections and connecting up issues’. As a child, Anne McKenzie was strongly influenced by her grandparents who were active members of the local community. Anne left school at an early age, and is the mother of four children, one of whom was born with a disability, which led to Anne having extensive dealings with the health care system. She learned that she had to stand up for her daughter, and herself, and has used that experience to improve the experiences of other carers and health consumers. Anne McKenzie was born in Perth in 1951 – the only girl in a family of four children. She was only 10 when her parents separated. Because her mother then had to work to support the family, Anne and her brothers spent a lot of time, including all the school holidays, on her grandparents farm 160 kilometres south of Perth. Both grandparents were active members of their local community and this had a strong influence on Anne. After attending a couple of primary schools, Anne went to high school. However, at the end of the third year she got a job and refused to go back to school. She got married 15 months later, when she was nearly 17. Forty four years later she is still married to the same man. They have four children – two boys and two girls. Religion has played an important part of Anne’s life and she believes ‘in a higher power’. She was raised in the Anglican tradition and attended church regularly until she got married. Her husband was not particularly interested in religion, but they did have a ‘stint’ where they became Seventh Day Adventists for a few weeks, but Anne smoked and liked tea and coffee, and didn’t want to give any of that up. They then became involved with the Church of Christ but over time became disenchanted with what Anne describes as the hypocrisy in organised religion – ‘that it was OK to be nasty to people, but for everything to be alright because you went to church on Sunday’. She had been bought up to believe that ‘you had to treat people in the way you wanted them to treat you’. Anne has always been in the paid workforce, except for a short period after the birth of her youngest daughter, Emma, in 1979. Emma was born with spina bifida and Anne gave up her job and didn’t resume working until Emma was nearly four. The family were living in the country south of Perth and Emma was born in a country hospital. Her daughter’s condition meant that Anne had extensive contact with the health system and she learned how difficult and stressful it could be. Because the family lived in the country and her husband was busy establishing his own business, she would frequently have to drive Emma to hospital appointments in the city accompanied by the other three children. She would arrive at the hospital with four unhappy children, only to find the appointment had been cancelled or delayed. From the time that Emma was born, Anne learned that she had to stand up for her daughter’s rights within the health care system. Emma had had an operation when she was only 19 hours old, followed by another to close the lesion on her neck 8 days later. Anne recounts how, one day while she and Emma were still in the hospital, a nurse informed her that they were going to X-ray Emma’s knees. Anne still did not know much about spina bifida at that stage, but questioned what why they wanted to X-ray her daughter’s knees . The nurse responded that there was nothing wrong with Emma’s knees but that they were doing research on the knees of all spina bifida babies and that she had to be X-rayed. Anne remembers standing with her hands on her hips, refusing to allow her baby to be exposed to unnecessary radiation. This was followed by other people coming to see her to insist that her baby be X-rayed, but she continued to refuse. Anne says that everything was a battle, all the way along the line. This was the late 1970s and early 1980s and Emma’s parents were given very little information about what lay in store for Emma. They were constantly told ‘we’ll just have to wait and see’. This was hard for Anne who says she is ‘not a wait and see’ person’. Emma didn’t walk until she was about 3, and Anne was having trouble toilet training her. She had successfully toilet trained three children, so she sought advice, and eventually saw a urologist. He suggested that Anne see a psychologist, as, he suggested, she obviously needed psychological help. Anne remembers standing up, with Emma on her hip and telling him that he ‘ought to try taking Emma home and toilet training her himself – and not to make his wife do it’. She forcefully pointed out that Emma was one of 4 children – and she had toilet trained the other three. She slammed the door and left. Twelve years later, when Anne started work as the Parent Advocate in the same hospital, the urologist said to her that he didn’t know how she could be the Parent Advocate, all she would do was teach people to slam doors! Anne’s experiences with the health care system underpinned her decision, in 1994, to take up a position as the Parent Advocate at the Princess Margaret Hospital in Perth – the only tertiary children’s hospital in Western Australia. It was an interesting role because the Chief Executive wanted a parent or someone who had experience with the issues that faced parents. In that position Anne met many women who were ‘doing it a lot tougher’ with children who were severely disabled. It was, she says, a ‘humbling experience’. Anne worked in that role for over 5 years, and was then promoted to the position of Quality Manager for the hospital. She then started to think about getting a university education. Three of her children were at university at the time, and they persuaded her that she would be accepted into university as ‘they accepted any old ladies with cheque books!’ Anne started a postgraduate business degree, but found that she knew more than the lecturer. As well as studying, she was already working a 10 hour day, had four children at home (one of whom had a partner, a dog and a goldfish) and had to pay university fees. She decided it wasn’t for her, and gave up her studies. However, for the past 8 years Anne has been working in a university – as the Consumer Research Advocate at the University of Western Australia and Telethon Institute of Child Health Research where her job is to increase consumer and community participation in health and medical research within those organisations. She is playing a leadership role within the university and the broader academic community – demonstrating to the academics and governments the value of involving consumer and community members in research and setting up systems and processes to enable that to happen. It is, she says, ‘a fabulous job’, and has a great sense of achievement from what she has been able to accomplish. Anne is also in a leading role within the health consumer movement. She is the Chair of the Health Consumers Council of Western Australia, the peak consumer health organisation in WA. She is also one of the Senior Consumer Representatives for the Consumers’ Health Forum of Australia. However, she does not think about herself as being a leader. She says that she ‘could no more describe herself as a consumer leader than fly to the moon. It would be a bit arrogant to put a label like that on yourself’. However, the invitation to be interviewed as a consumer leader led her to reflect on this. She had had role models who were older than herself, and believes that it is important to pass knowledge and experience on to the next generation – so she describes her role ‘more as a mentoring rather than leadership role’. She says that one of the biggest difficulties in being in a leadership role is herself. She realises that she limits herself, and does not recognise her own leadership qualities. ‘Sometimes’, she says, ‘I have to have a really serious talk with myself – to say come on now, a show a bit of leadership here.’ It took her a while to come to the point where she values her own skills. Her two bosses, both high profile academics, have been important in Anne’s development. They have given her the freedom to try new things, and have had trust and confidence in her judgement, which in turn has given Anne the confidence to speak up. Anne also stresses the importance of sitting and talking through the issues with others and having the flexibility to be able to say ‘I don’t know everything. I think that’s a difficulty of leadership but when you let go of that – that you have to know everything, and then perhaps you can be even more of a leader and more of a role model to people. Anne is happy to mentor other women, either through the consumer representatives program run by the Health Consumers Council of WA, or through less formal means. She admires younger women, and is keen to see them take advantage of the opportunities that weren’t available to women of her own generation. Her advice to younger women is not to be too impatient, and that experience is important. ‘You have to go through the journey to get to the end – to a point where you do have something to offer, and you can’t really get to that position until you’ve experienced the journey. It’s the experience that gets you to that point. So soak up the experience, and let it happen. But you have to let your passion drive you – so find something you are passionate about and really get yourself into that’. Louise Sylvan was born and raised in Canada – in a small prairie town near Edmonton, the capital of Alberta. She had two brothers, and was the youngest in the family. Her mother and grandmother provided strong female role models – her mother was a teacher, a profession she continued through her whole life, with only short breaks to have children. Her grandmother had been one of the leaders in the suffragette movement. Louise’s father was a prospector. He was also a strong figure in her life, although he often worked away from home for up to 4-6 months at a time. Louise describes him as ‘a great outdoorsman, trained by the indigenous people’. She remembers walking in forests with him, and he would be absolutely soundless. He was a great hunter and sometimes Louise would accompany him on hunting trips. She recalls that he and a friend once walked, in the middle of a Canadian winter, from one of the northern river towns all the way through to Yellowknife, just with chocolate and food from hunting. Education was in private schools, because the family had French origins and wanted to retain its French/Canadian roots, so the children were sent to schools which had French as one of its main languages of teaching. As well as having a strong element of culture in her education there were quite strong expectations for academic performance. Louise believes that expectations for children are very important – and for her there was no question that she could be whatever she wanted to be. After finishing her schooling, Louise studied business administration and commerce at university in Alberta. She then took a couple of years off, and worked for a bank as a management trainee at a time ‘where there were no such things as women management trainees in the banks’. She found it fascinating but although she learned a lot about finances she also learned that she didn’t want to be a banker. She moved east, and completed a Liberal Arts degree before doing graduate work in public administration and policy at the University of Victoria in British Columbia. After completing her MA, Louise ran the University of Victoria’s cooperative education program, where students, through the course of their degree, spend half their time with employers and half at university. This arrangement had good results for both students and employers. Retention rates for women taking traditionally ‘male’ subjects such as engineering, physics and chemistry were higher than normal because they provided opportunities for women in business and demonstrated that it was possible for them to have a career in those professions. While at university, Louise met and married a visiting commerce scholar from the Australian National University. They decided that Louise was more transportable than he was as a tenured academic, so Louise migrated to Australia in 1983, but not before she had visited Australia and checked that there were career opportunities available for her. She initially coordinated the Australian National University’s extension and public affairs program. However, in 1987 a national health consumer organisation, the Consumers’ Health Forum (CHF) was established by a group of non-government organisations, with financial assistance from the Commonwealth Government. Louise became its inaugural Executive Director. She describes the Commonwealth Health Department at that time as being ‘constructed according to providers’ and the Minister, Neal Blewett needed a little help in ‘overcoming the strong provider dominance. CHF was there to speak for consumers rather than have those provider bodies speak for consumers which they purported to do’. Establishing a new organisation was a challenge that Louise enjoyed. She was soon immersed in a number of policy debates around the financing and regulation of health care. Under her leadership, the organisation took a particular interest in the processes of government decision making and their impact on the lives of people and access to medical services and products. CHF advocated strongly for greater transparency and rigour in decision making processes around the approval and marketing of pharmaceuticals and the government subsequently asked CHF to provide a consumer representative on the Pharmaceutical Benefits Pricing Authority – a prestigious, high level committee which was not traditionally seen as being of interest to consumers. The new organisation was not welcomed by the medical profession, and there were attempts to marginalise it. However, CHF’s work had a big focus on research: using an evidence base for its work made it hard to undermine its credibility. A hotly contested issue at that time was the establishment of Medicare as the financing system underpinning the universal provision of health services. Medical organisations were highly critical, but CHF supported Medicare after a rigorous analysis of the costs and benefits for consumers of public and private funding systems. Its work was influential in the framing of the debate, and the subsequent bedding down of the Medicare system. Louise was challenging some of the powerful vested interests that dominated the provision of health services. She had a personal stance that ‘you could go very hard on the issues and disagree very strongly which didn’t mean that those people were the enemy – it simply meant you had a public policy disagreement with them.’ It was quite a sophisticated positioning for a new consumer group, but while there were disagreements, there was a lot of respect for the processes that the organisation was using as the bases of its positions. After nearly 3 years with CHF, Louise moved to Choice, a high profile, and independently funded consumer advocacy organisation. She was initially the head of policy and chief lobbyist but after 4 years became its Chief Executive. The Choice job was attractive because it was independently funded, and therefore free from any constraints imposed by government funding. Choice, she says,’ is an expert body in its own right and was strongly positioned in the market. ‘One of the things I like is the discipline of the market – it’s a nice way to work. It’s nice to be able to speak to the private sector as a private sector organisation which survives on the basis of its products offered in the market. If it fails it fails on the same terms as they do. That was something the private sector could understand and respect. It enabled a quite different kind of relationship which I thought was increasingly necessary with the way the political dynamic was emerging. I thought that the private sector – peak bodies in particular – needed to work with consumer organisations and environment organisations and to some extent come to agreements that then confronted governments with no place to hide . And I thought that was a really important place to go’. Louise had realised that the private sector, particularly the peak bodies, needed to work with consumer and environment organisations and come to agreements that ‘then allowed governments no place to hide’. The Government’s deregulation of banking meant that Louise could draw on her interest and experience in the financial sector. Deregulation was happening with very limited protections for consumers and it was ‘just begging for some really strong consumer advocacy’. As well as providing advice to consumers about choosing products such as banks, mortgages, and interest rates in the deregulated market, Choice was also a powerful advocate for increasing transparency and disclosure in the market. A bewildering array of products and services were being offered. They were hard to understand and even harder to compare. Louise also stresses that the new financial service industries were selling products that, in many cases were one off products such as superannuation, investments and mortgages. They could not be treated like any other product in the market place where people can easily tell the real price and can change their supplier if the product is not of sufficient quality. By contrast, financial service products are complex, hard to understand, difficult to compare and attract large transaction costs if changes are made. For consumers, the consequence of a wrong choice can be devastating. There were also problems for consumers in the deregulation of the telecommunications industry. Choice anticipated a repeat of the limited attention given to consumer empowerment in the financial services sector and moved quickly when changes started happening. Choice was hired by government to prepare an initial decision making fact sheet for consumers, which was an important piece of work. As in the financial services sector, they advocated for and helped establish an industry Ombudsman as a statutory body funded by industry levies. In 2003 Louise was approached by the Treasurer, Peter Costello, to stand as Deputy Chair of the Australian Competition and Consumer Commission. He wanted to nominate Graham Samuel as the Chair. However, some of the State governments were not comfortable with this, but eventually agreed that a ‘package’ of Louise and Graeme Samuel would be acceptable. The move to the Commission was not something that Louise had planned – her career seemed to be taking her to the international arena and at that time she had become the President of Consumers International where she was doing a lot of work globally. However, a move to the Commission would be a logical one for her, and she accepted the appointment. It was a chance to contribute in a completely different way. She had not worked within government before, and says that ‘being a regulator is different. When you’ve got a stick you get to be a lot more careful. It’s not just talking any more – its talking with a lot of power behind you, so it was a very different role and one that was amazing to be able to do’. After 5 years with the ACCC, Louise was appointed as a Commissioner with the Productivity Commission, a body which she says ’is an important institution for the debate about good policy’ and a ‘really powerful proponent for good governance’. Good policy and good process has always been a passion for Louise and she says that joining the Commission ‘felt like home territory for me’. Louise was involved in a number of major enquiries, including the Annual Review of Regulatory Burdens on Business – Business and Consumer Services, the Economic Structure and Performance of the Australian Retail Industry and Gambling. As a Commissioner she was required to overview every one of the projects referred to the Commission by the Government and to debate the processes and recommendations arising from each of the reviews. In September 2011 Louise was appointed to head up the new National Health Preventive Agency which was established by the Australian Government to work with all levels of government on strategies to help people maintain their health. The new agency has some challenging goals in reducing risk factors for ill health, such as obesity and smoking and Louise is looking forward to the tasks confronting her. It will involve greater understanding of the barriers facing people in maintaining health. Louise stresses that ‘we don’t yet know what it is that will powerfully influence people to change behaviour – behavioural change is just about the most difficult thing that governments attempt to do’. She stresses that ‘if you exhort people, it doesn’t work’. Louise also points out that the problem of obesity and smoking is not evenly distributed across the population ‘there is a real alignment between lower economic status and ill health – and it’s primarily these chronic diseases’. Louise has taken on some tough tasks during the course of her career, and has at times found herself subject to strong resistance from industry, and at times, personal attacks. She says that she has ‘never seen the task as being liked’. When she is attacked, she says that it ‘tends to make me think about whether I’ve framed something correctly – whether this is a not unexpected response’. She never attacks the person. ‘People who do that’ she says ‘have already lost the argument – they are scared at that point or they wouldn’t be doing it – they are out of things to do. So I take that as quite a positive thing’. She says that you ‘build up an attitude in yourself which is strong, and that’s there’. She also acknowledges that she has also been lucky in the support that she has received, including that from her mother and grandmother. Her first husband provided a lot of support in the earlier part of Louise’s career. He died unexpectedly 1996. Louise has recently remarried and says that her new husband is just as supportive. However, in that period where she wasn’t married it was ‘a bit more difficult – there is nobody to download with and although you have your friends, there is nobody at home’. Louise believes that it is important that the current generation of leaders are good role models and mentors for younger women. Leaders need to think about the career paths and challenges facing younger women. ‘A lot of them still have major family responsibilities which we need to deal with as employers – and it is hard because we want them there 24/7 and that’s unreasonable, so I try to temper that’. Louise sees a difference between men and women in leadership positions. ‘Men tend to have a lot more ego on the table. That’s the nature of our society. And they are a lot less sensitive to many of the nuances of what is being discussed’. ‘All leaders, she says ‘need to have enormous integrity and concern for people, as well as some good, hard-nosed management skills. You don’t want soft leaders, but you want leaders who are not just ego driven and dominant because there is no place to work with those people’. It is important that leaders are able to make the hard decisions. At Choice, Louise had to make some hard decisions regarding making people redundant. That was tough, and people in the organisation were upset. But it was Louise’s job to return the organisation to profitability and that is what she did. She says, ‘so it’s not all niceness. If you are appointed to lead an organisation – you have to do it in the end’. Aila Keto was born near Tully, North Queensland, in 1943. At that time Tully was quite a multicultural town, being a centre where many immigrants settled to find work. Aila’s parents were both Finnish, and they were members of a Lutheran church, which played both a religious and a community support role for the family. Aila says she liked the singing and socialising at church, but the “sermons didn’t go well with her”. She eventually decided in her teens that the central dogmas of religion were no longer credible for her. Her father had wanted to be a sea captain in Finland, but his eyesight became a barrier. He set off to Australia for a holiday to overcome his abject disappointment but seven years later finally invited his forbearing sweetheart to join and marry him. Aila’s mother had been a pharmacist in Finland, which was quite rare in those days, but in Australia joined her husband in cane farming. Aila says her mother had a huge impact on her life, nurturing her curiosity, her talents in art and music and encouraging her academically. Aila’s mother “maintained her own scientific interest in things”, and was an avid shell collector, scientifically studying, cataloguing and exchanging shells with collectors around the world. Often scholars from overseas visited the home. The extract below describes one important visitor, and how the natural environment she lived in influenced her future passions. Aila was the youngest of the family, with 2 older brothers. The family spoke Finnish at home, and Aila spoke Finnish better than English when she started school. She attended a very small local primary school in El-Arish, and then boarding school in Herberton. Aila describes leaving for boarding school at 14 as the time that she “started her independent life”. Aila remembers herself as a child “being able to cope with most things thrown at her”, particularly after her early childhood with two somewhat robust brothers. After high school, Aila went to James Cook University, initially enrolling in pharmacy, and then broadening out her range of science subjects, with zoology in particular capturing her imagination. James Cook University had just been set up at the time, and Aila describes her university teachers as engaged and inspired, and supportive of her interest in “understanding how life worked”. They recommended that she transfer to Queensland University to study under eminent biochemist Professor Edwin Clifford Webb, which she did, and there she was overwhelmed with excitement at the new ideas and information that she was absorbing. Aila’s mother died from cancer at the end of her first degree when Aila was just beginning her Masters. She and her father took a year out to stay with family in Finland. On her return, she finished her Masters and then a PhD, while tutoring at University to supplement her scholarship. was The distinguished plant scientist Dr Hal Hatch, the discoverer of C4 photosynthesis, was an important person for Aila when doing her Honours on a CSR scholarship. Aila met her husband Keith, who is also a biochemist, at University, beginning a personal and work partnership that endures strongly to this day. Aila’s interest in conservation was growing while she was completing her PhD, and she and Keith ran two very successful “symposia on survival” in the 1970s on the great extinction crisis that the earth is facing. They were inspired very much by the seminal works of people like Rachel Carson, Paul Ehrlich and many others at the time. Aila had her son when she was in her late 30s. Aila describes herself as being so immersed in her career until that time that she never considered whether she should have children. When her son was born, she took time off from her work, always intending to go back to research and teaching. But during this time off she became involved in conservation activism, after reading widely and becoming alarmed by the dire threats to her beloved rainforests in North Queensland. Other huge influences on Aila were visits to Australia by eminent US scientist Dr Peter Raven, and leading British environmentalist Professor Norman Myers who took on mentoring roles and further impressed on Aila a sense of the extraordinary in the natural world. “I felt that I owed something to life, to nature, to do all I could to protect it”. While she was still at home looking after her son, Aila and Keith formed the Australian Rainforest Conservation Society (ARCS) in 1982. In the extract below, Aila describes the early days of the ARCS, the influence of John Sinclair as a mentor, and how the couple supported themselves in their environmental work. Aila has now been president of ARCS for nearly 30 years. I asked how her leadership role had changed over that time. In the extract below, Aila describes the collaborative relationships she has helped develop with the forest industry and the grazing industries. Aila describes her partnership with Keith in running ARCS as an equal one, with each of them having different but complementary skills. They are not able to employ regular paid staff, but each of them spend all their time, work and personal, involved in researching, studying and advocating for issues that are important to the Society. The membership is deliberately small so they do not have to put more of their energy into administration to support ever-growing members’ needs. Aila and Keith manage their home/life balance by sharing all the household duties – we’re “barely out of each other’s sight”, she says, and Aila sees them as very fortunate to be so compatible in all their interests. I asked about the impact of his parents’ activism on their son Matthew. Aila says he had a very different upbringing from other children – no weekend sport, not going on regular holidays – “because everything centred on conservation”, but he also had the opportunity to see special places and meet a range of interesting and committed people through his parents. Aila has had no formal training in leadership, although she says she would have loved to have done some. When I asked about role models, Aila said “it has never ever occurred to me to emulate anyone” but “we come across lots of people I admire greatly – for example Peter Stanton, a former head of the Parks Service in North Queensland, who, like a Delphic Oracle, advised me to either recognise, or create windows of opportunity, saying you’ve got to run like the wind when you’ve got them, because they don’t come often”. I also asked about some of the challenges of leadership. Aila responded: “I’m really a very private person – I’m not a party-goer, and sometimes you’re thrust into situations where you feel a bit awkward.” Aila has been asked several times to stand as a political candidate, but has always refused, in part because she recognises the huge commitments that politicians need to make to their constituents. Aila and Keith work every day, often from 6 am to past midnight, and rarely have holidays – “there isn’t room for activities like, say, going out to dinner or to films, …we do such a lot of research….”. Aila says “People sometimes interpret my reserved nature as being arrogant, when it’s just not like that”. Aila and Keith have always had lots of people involved in their organisation wanting to help and Aila has also helped a number of people who are now successful and well known to find their way in conservation through their work with ARCS. Aila made some very interesting comments about women and men in leadership in the environment movement in Queensland. “There have been cycles in leadership. In the previous decade, most of the conservation peak organisations in Queensland were dominated by females, and now, I think I’m the only female leader, at least in the peak groups, so we’re now in a mainly male-dominated part of the cycle.I’ve been involved in conservation for over 30 years, I find that some of the analytical literature about male versus female archetypes rings true, at least in part. I’m not a sociologist, but I’d say the broad categories, [women tending to be] caring, nurturing, networking versus [men tending to be] more aggressive and competitive do have some resonance. With men involved in the environment movement, I think, careers can be more important. But as always, there are lots of outstanding exceptions. Aila also spoke about why women might not want to take on leadership positions in the environment movement. Aila’s many efforts in the Queensland environment movement have been recognised by a number of significant awards. More information about these can be found on Aila’s entry in Wikipedia. Linda was born in 1960 in Johannesburg South Africa, and moved to Australia when she was 4. Her parents are both doctors, and Linda was the middle child of 3. Linda and her siblings were raised as atheists, and Linda describes herself as atheist today. Linda says her mother’s choices had an influence on her from a young age. Linda was always clear that she wasn’t going to “get married and have children”. As an adult, Linda made a deliberate decision not to have children, primarily because of her concerns about the environment – the potential for climate change to cause wide-ranging environmental destruction – and not wanting to contribute to the stress placed on the environment by an increasing population. Linda has “always been driven by the desire to make the world a better place” and says that if she had had children, she would have wanted to give them her full attention, and this would have prevented her from being able to focus on the sort of work she has been able to do. Linda grew up in Darwin, and attended public schools throughout her education. Apart from the lack of private school alternatives in Darwin at the time, Linda’s father said that he “didn’t want his children growing up thinking they were better than anyone else”. Linda moved to Brisbane for University, enrolling first in a science degree, and the later switching to medicine. Her first involvement in the environment movement came when she was in her early 20s, when she became aware of rainforest destruction. She joined ACF, and started writing letters to support ACF campaigns. She continued being involved in volunteer work for ACF, and then started volunteering with Aila Keto, who was putting together the World Heritage nomination for the Wet Tropics. While completing her PhD, Linda’s spare time was occuried with her volunteer work with TWS and her enthusastic involvement in music. After her PhD, Linda did a post-Doc at the National Institutes of Health in Maryland, where she was also involved in social justice work with disadvantaged communities and drug users. On her return to Australia in 1994-95, Linda completed a Masters of Applied Epidemiology, while she also was working full time as a student is Queensland Health. She and some friends tried to organize a group working on climate change issues, but a lot of her spare time was spent setting up the Hepatitis C Council of Queensland. Also at this time, Linda met her husband, and became less active in the environment movement. Linda married her husband when his daughter was 16, and she is still close to her stepdaughter as an adult. Linda then took on a very big job as Director of Communicable Health in Queensland Health, leading a team of around 40 people. I asked Linda about this period, starting with a question about the difference between leadership and management, and Linda also spoke about how she integrated advocacy into her work. Linda talked in the interview about the skills she’s learned in management, both in her work with Queensland Health, but also in her later job as CEO of Greenpeace. The lessons in management I’ve had to learn… particularly, giving people praise, and giving people all the information. The way my mind works, I’m always very big picture and a number of steps ahead. I’ve learned to tell the whole story to those I’m working with. Linda took a year off and went to India, and became even more motivated about climate change issues. On her return, she was offered the opportunity to become involved in the Queensland Conservation Council (peak body for Queensland environment groups) as Chair. Linda accepted the position which she held from 2001 to 2009. In 2007 Linda was trained by Al Gore on climate change, and how to do compelling public presentations , and this left her with an urge to do much more in this area. Knowing that her position was incompatible with more advocacy work, she actually applied for position well below her current level, so that she could spend more time on climate change activism. But before she could embark on this new arrangement, she applied for and was offered the job of CEO of Greenpeace Australia, and moved to Sydney to take it up. I asked Linda about the differences between leading in a large bureaucratic organization like Queensland Health, and being the leader of a prominent environment NGO. The biggest difference is the management side. Queensland Health has a lot of good systems and processes in place, and finance and other administrative tasks were done on my behalf. Because the organization was so much bigger, the people who reported to me were senior executives, and had huge capabilities, so my role was primarily leadership, and I was able to do a lot of advocacy work. At Greenpeace, there’s a lot more management that falls to me, the people who report to me aren’t as highly skilled (you wouldn’t expect them to be). The bureaucracy has systems which are actually very valuable. Having all that in place, frees up leaders to be leaders. In general I think women tend to be more people oriented, more flexible, and probably less ego involved. Across Greenpeace globally, there’s about 5 female CEOs out of 28, and the women tend to be all those things, and more interested in mobilizing people and more “big picture”. There have been huge impacts – I had to move to Sydney, and give up my life in Brisbane, and my social networks, and a range of other interests. I don’t feel like I’m working more hours here, but I find it more energy sapping. It feels like an enormous personal cost. One of the hardest things is that while I’m part of a global organization which acts on climate change, Australia is not a high priority country when it comes to climate change for Greenpeace. But climate change is one of those issues where you always feel like you’re not doing enough. Linda left Greenpeace in late September 2011 (shortly after this interview), after making a decision to follow her heart and move to Perth to be with her partner, Gabby. She is currently pursuing jobs in public health with a view to campaigning on climate change in her spare time. To this end, she is now of the Management Committee of Doctors for the Environment Australia. Penny Wright was born in 1961 at Red Cliffs, a country town in Victoria. Penny’s family was Protestant (Methodist/Presbyterian) and she went to Sunday school and church until she was 14. Penny believes she gained many of her values from her mother, who brought up her children to “be aware of how lucky we were”. Penny says: “her compassion and sense that every single person has a value irrespective of their wealth, their status, their appearance, their occupation” has been something she tries to emulate. Penny now describes herself as atheist. Penny is number 6 of 7 children. Her father was a middle level manager in retail, ending up in major shops in Melbourne, where the family moved when Penny was 7. Penny considers herself a country girl even though she left at a young age, because her older brothers and sisters and other family had lived in the country for so long, and she says she was brought up “with a narrative about country values and country ethics”. Penny’s mother was the home manager, looking after her large family. Penny went to government schools all the way through her education. In year 12 she went to a selective high school, encouraged by her principal who thought she would benefit. “I’ve always been ready for a new challenge, and I enjoyed a new all-girls environment, and the ethos at the school that ‘girls can achieve anything’”. At her mainstream school, it “had taken [Penny] quite a while to be comfortable being a high achiever”, but at the selective school, “there was an ethic about striving for excellence in everything”. Penny was politicised by her older brothers and sisters who brought feminism, anti-Vietnam War activism and Aboriginal land rights to the family dinner table – where there were “lively discussions and arguments”. Her father was a Menzies Liberal (not politically active) – with very conservative political positions – but did “bring us up to be true to ourselves”, which Penny says made him able to respect different opinions even though he didn’t agree with them. Penny’s first political actions were participating in anti-nuclear marches when she was in her final year of school. Her older siblings introduced her to environmental thinking and while at University went to the Franklin blockade, where she came to understand “the power of many people standing up for something they believe in”. Penny finished a BA LLB from Melbourne University and a graduate diploma of environmental studies some years later in Adelaide. She met her long term partner Mark Parnell at University and the couple have 3 children. Penny and Mark lived in different parts of Victoria for 6 years after meeting then they travelled through Europe in a tent. They then returned to Adelaide where their first child was born, when Penny was 29. Mark himself has had a significant leadership role in the environment movement and is currently a Greens Member of the Legislative Council in the South Australian parliament. Over the years, Penny has been very active in a range of social justice and environmental causes and projects. Mark and Penny have done a number of joint projects – for example running the Greenpeace group in Hackney, England, when they were travelling overseas – as well as individual projects. Penny says she tended to take on discrete projects that she was passionate about, rather than being a leader. When Mark and Penny returned to Australia, they found a group of lawyers who were interested in providing a free environmental legal service, and they formed the Environmental Law Community Advisory Service (ELCAS) in South Australia. Penny was the Honorary Coordinator of ELCAS for a number of years (1990-992), juggling her small baby with this work. In those days I was conscious that I was going to be viewed in a certain way because I was a mother. There was a sense of de-valuing of both aspects of my life. During her main child-rearing years, Penny was also involved in People for Public Transport, door knocking for The Wilderness Society, and the Women’s Environmental Action Group (great acronym WEnAG) which made some environmental advertisements for community television. Penny’s work at this stage was generally within small groups, rather than part of any of the larger environment groups. However, she also became an ACF Councillor later in the 1990s. Penny had a range of voluntary roles outside the environment movement – including being national spokesperson for Friends of the ABC in 1996 when huge funding cuts were made to the ABC, and President of the Friends of the ABC in South Australia. She’s also helped out with overseas aid organisations and refugee support groups. As her children grew, Penny took on more paid legal work, including 10 years as a tribunal member of the Residential Tenancies Tribunal, being on the Guardianship Board for 14 years, and on the Social Security Appeals Tribunal for a couple of years. She was also a lecturer in public and environmental health law at Flinders University. Penny describes her career as “eclectic” and says that this is what she wanted to do, and planned to do, rather than have a more structured lawyer’s life. I always knew that I really wanted to be a mum – I really love kids, and I knew that having given up full time work to do that, I didn’t want to do too much part time work so that it was the same as full time work anyway. I also really wanted to be part of the school community. I also needed to be active and do other things, because that was good for me, good for them and good for the community. I did work at night a lot …. And I would say that Mark and I worked really well together as a team. We helped each other out. It would have been much harder if he hadn’t taken on that role. This equal arrangement between Mark and Penny had to end when Mark was elected as a Green to the Upper House of the South Australian parliament in 2006. This trumped anything that I could be doing. Whereas in the past, when kids were sick he could stay home and look after them if I had to get to a tribunal, that was no longer possible. Luckily the children were much older. And I had a good strong network of female friends who helped out. Penny lives in an area with a strong community, centred around the primary school, “with a real ethic of looking after everyone”. Penny acknowledges that she could have received more financial recompense as traditional lawyer, but that’s never been very important to her, and her family is able to live quite simply. Penny has been involved with the SA Greens since its inception – the first meeting was held in her loungeroom. As time went by, she felt than many of the issues she was working on could be better advanced through politics, and putting her energy into the Greens would be a better way of progressing these various environmental and social justice causes. She did training and facilitation for The Greens, was involved in developing and implementing the grievance processes, was a Convenor of a local branch, and very involved in State Council, although she didn’t take on the more prominent jobs. Because I had various jobs and responsibility for my growing kids, I was always reluctant to take on one big role like the Convenor, because it would mean I would have to do that to the exclusion of everything else, and I didn’t want to do that. … and I really like variety. When Mark stood for the preselection for the Upper House election, Penny also considered it, but she felt her children were too young. But she also became very concerned about the “creeping acceptance of something that was previously thought to be morally abhorrent” that the changes to legislation in relation to refugees portended, or the increase in CEO’s salaries demonstrated. And this led to her putting her name forward for preselection and she was selected in 2009. In the extract below Penny explains the dilemma she had in relation to how she and Mark handled their relationship in terms of the preselection. Penny was elected in 2010 and began her work in the Senate on July 2011, and the first weeks were “equal parts exhilarating and terrifying”. “It’s doing a new job, but on stage, where there’s people in the audience who are determined to criticise you, or have you dragged off the stage as soon as possible”. But I’ve realised that this is a job I’ve got the background to do. All the different aspects of the work I’ve done… I can connect dots and join things up in my thinking. I’ve learned the importance of listening, valuing what people are saying, and I’ve learned the ability to take people with you. You do that in tribunal hearings as well, it’s much more important if you can send people away feeling that they’ve been valued and listened to. In my mental health work, I always wanted to make sure that people didn’t feel worse after the hearing, and if anything, they had more dignity and more sense of being respected than when they’d come in, and they could understand the decision I’d made, which often was a decision they weren’t happy about. Joan Kirner was offered an opportunity, that was a bit of a poisoned chalice, but she had the guts to take it on and she always struck me as having integrity and courage, and being supportive of other women. Also Burmese leader Aung San Suu Kyi– who is so courageous and steadfast. Christine Milne has a real vision, and has real courage in promoting that constantly, and it’s hard to keep that going when people are constantly trying to drag her down. I admire her tenacity, she just keeps going. Time is her other challenge at the moment – Penny is aware that she will not be able to keep up with all her friendships over the next 6 years and that her family will have to be prioritised with all the other demands on her time. I asked Penny whether she could see differences between women and men in leadership. Women tend to be better at relationships, and perhaps with a female leader you’re likely to have that understanding, but that’s a broad generalisation. I have found it really valuable to work with other women. For anyone interested in leadership, I would encourage them to band together and support each other in realising how much of the criticism you might receive is personal, and how much isn’t, so you can learn how not to take things too personally. I believe in the strength of relationships and that’s the power of the environment movement. You have people who care passionately about something other than themselves, and that’s such a resource. It’s the thing that really matters.